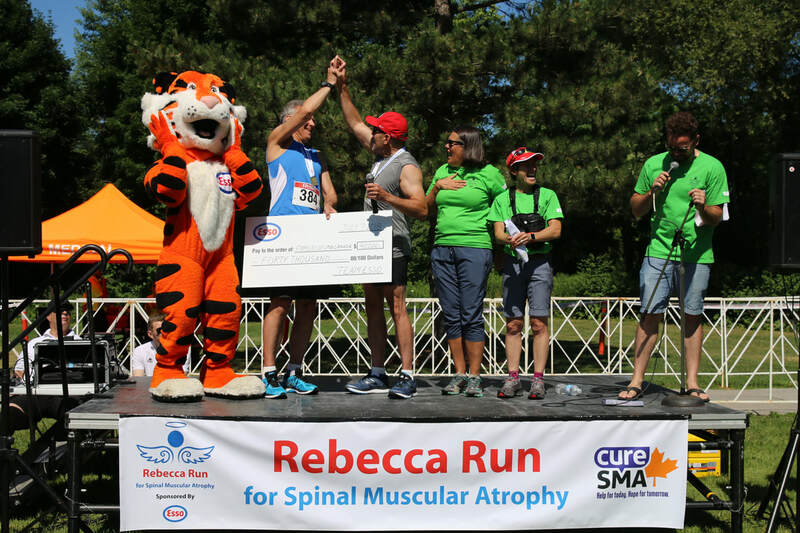 Join us for the Rebecca Run for Spinal Muscular Atrophy (SMA) on Saturday, July 6, 2019 at Fairy Lake in the historic downtown area of Newmarket, Ontario. 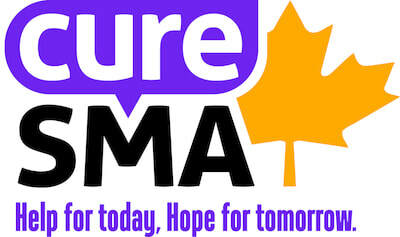 This family focused run/walk is the ideal way for friends and family to come together and support Cure SMA Canada. Witness the energy and enthusiasm that surrounds this amazing event, it will surely be a memorable day! 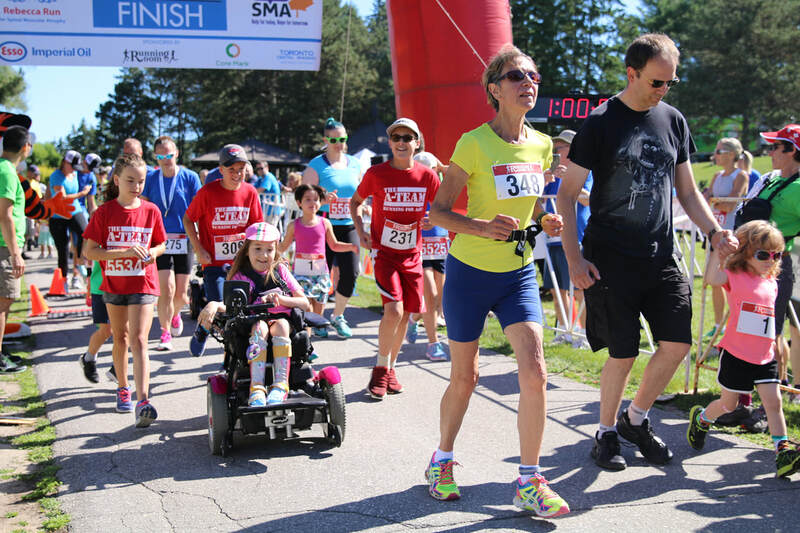 There is something for everyone at the Rebecca Run for SMA. Run Distances include: 5k Run/Walk, 3k Run/Stroll/Roll and a kids’ fun run. All registered participants receive: technical running shirt, limited edition finisher medal, access to our stellar post run BBQ/party and lots more! Since we launched the event in 2002, we have raised more than $2.7 million for Cure SMA Canada in support of children and families living with SMA. Together, with your help and support, we will find a cure for SMA. 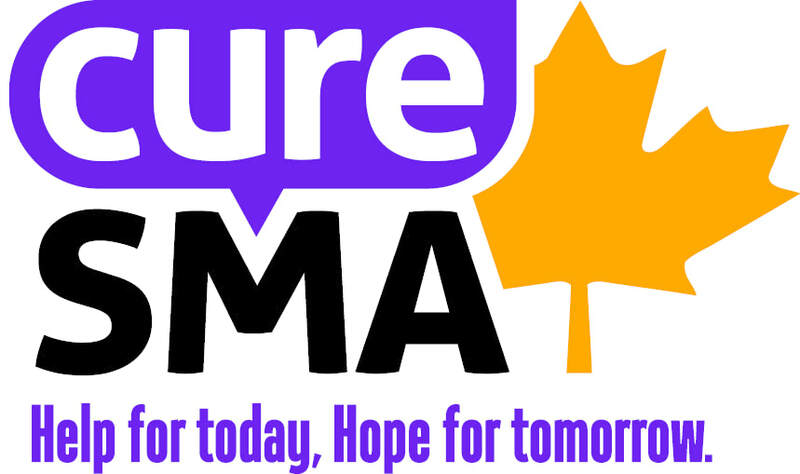 Families of SMA Canada directs 95% of donations to research to help find a cure for SMA. 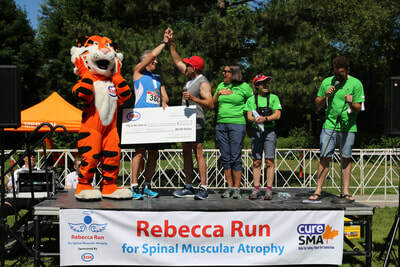 We look forward to seeing you at the start line on Saturday, July 6, 2019 for the 18th annual Rebecca Run for SMA!